Cheap fares for Rhine cruises are great but the size of riverboats, facilities, and level of luxury also matter when making reservations for European riverboat vacations. Many different cruise line operators use boats of various sizes and levels of luxury for cruising on the Rhine River (Rhine) and its tributaries in Germany. Before booking a cruise, bear in mind that the level of luxury and the number of options included in the cruise price can have a great impact on the final price of the cruise. There is little point in paying for a boat with a swimming pool when cruising in late autumn nor in trying to save a few dollars but ending up with substandard food or a really cramped cabin. Luxury riverboats used on the Rhine River generally have a two-deck layout with a sun terrace on the roof. However, some newer boats can have up to four decks with swimming pools, hot tubs (whirlpools), gyms, and saunas. Riverboats of course do not have all the facilities offered by modern ocean liners but it is worth bearing in mind what is available before making reservations – on the one hand to avoid disappointment and on the other not to pay for services and facilities that passengers do not need or do not intend using. The newer, larger riverboats generally have more facilities such as hot tubs and even the occasional swimming pool. 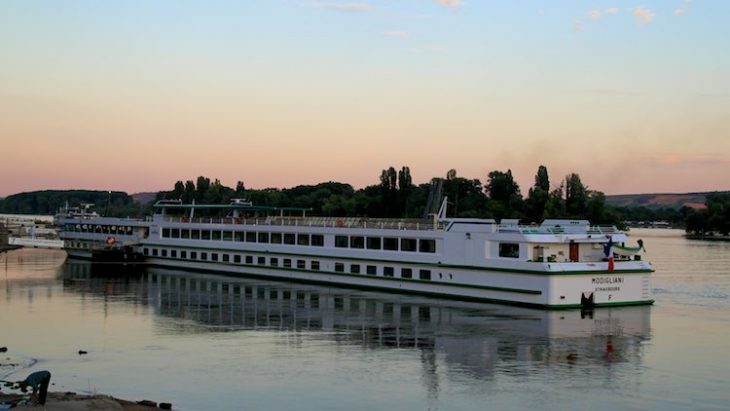 However, larger boats also mean more passengers that need to get on and off the boat – on Rhine cruises that can occur a few times per day, especially on all-inclusive tours where lunch is taken on board. More passengers also mean bigger crowds on walks and excursions in towns and sights that are often small and easily overwhelmed by larger tour groups. Smaller boats have the advantage of fewer passengers, the ability to use narrower rivers and canals, as well as stopping in smaller towns too. Swimming pools and gyms are less common but when present fewer passengers are in line to use them. The cruise season on the Rhine and many other European rivers has been extended in recent years to almost year round. Christmas cruises are increasingly popular and even most winter months some cruises are available on major rivers such as the Rhine and Danube. Weather wise, November to April are the least pleasant months for cruising on the Rhine. May, June, and September can actually be more pleasant than the high-season months July and August and usually have lower fares and fewer passengers than the traditional summer holiday months. The dress code on European riverboat cruises is generally casual during the day and smart casual at night. On most cruises, jackets and ties are requested a few times per week for more formal dinners and evening receptions. The more up-market the boat, the more formal the standard of dress. A notable exception is the German cruise line Arosa where the atmosphere and dress remain casual despite the otherwise luxury surroundings. Smoking is generally allowed only on the outdoors decks. Recommended tipping on river cruise boats in Europe is generally $5 for cabin crew and $9 for wait staff per day. On some lines such as Tauck World Discovery and A-rosa all gratuities are included in the cruise price. Cruises on the Rhine can be as short as three days but a week is more common. Amawaterways have a spectacular three-week cruise that include the Rhine and Danube river basins. Short two-day, one-night cruses are sometimes offered during the Christmas season, especially with departures from Strasbourg, Frankfurt and Cologne. All-inclusive cruises sold on the international market are often sold out well in advance with the best discount offers often available more than a year prior to sailing – cancellation insurance is a very good idea. For cruises sold in the European and German markets, discounts are often available closer to sailing with last-minute deals a great option for travelers with flexibility. Dreamlines is the largest German cruise travel agent and a good source for comparing prices. However, bear in mind that even if the same boat is used, different cruises may offer different services and the operating language may even change from week to week to cater for example for an international, French or German target group. The routings of luxury Rhine River boat cruises range from the traditional Basel to Amsterdam to permutations including cruises on the Mosel, Main, and even Danube as well. Several luxury cruise lines operate on the Rhine and it is worth noting that many discount offers are available for early bookers, children, and special anniversaries.